Large Open Gathering Space, Outdoor Living Space, Outside Shower, Shaded Area(s), Sunny Area(s), Swimming. City View, Garden View, Hills View, Open View, Panoramic, Swimming Pool View, View. 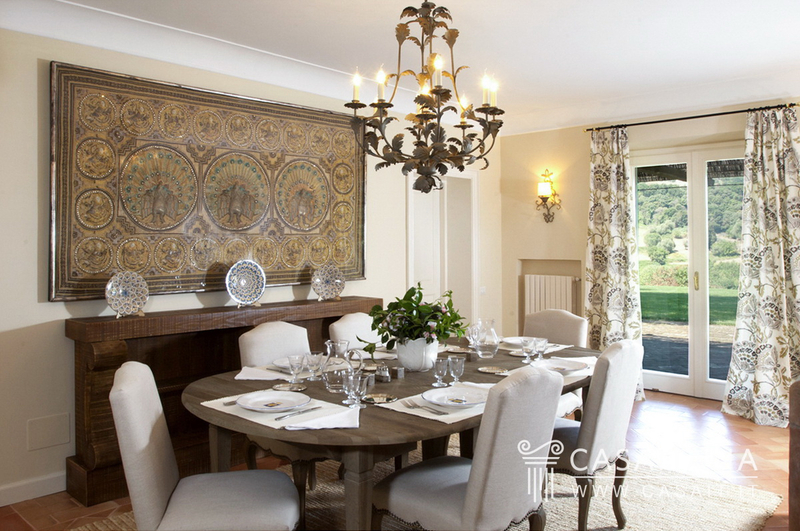 Two farmhouses next door to each other, in panoramic location with view of Orvieto just 3.5 km away, with pool and agricultural annex, surrounded by around 30 hectares of private land. Geographic position La Terrazza su Orvieto is an attractive property in a hilly location with a magnificent view of the city of Orvieto, just 5 minutes away by car. Orvieto is one of Umbria’s most famous historic centres, and is well connected thanks to the nearby motorway (6 km) which allows you to get to Perugia (75 km) in an hour, Rome (116 km) in around an hour and a half and Florence (168 km) in less than two hours. The nearest airport is Perugia, 78 km away (1 hour’s drive), while Rome Ciampino (134 km) and Rome Fiumicino (150 km) are around an hour and a half away. 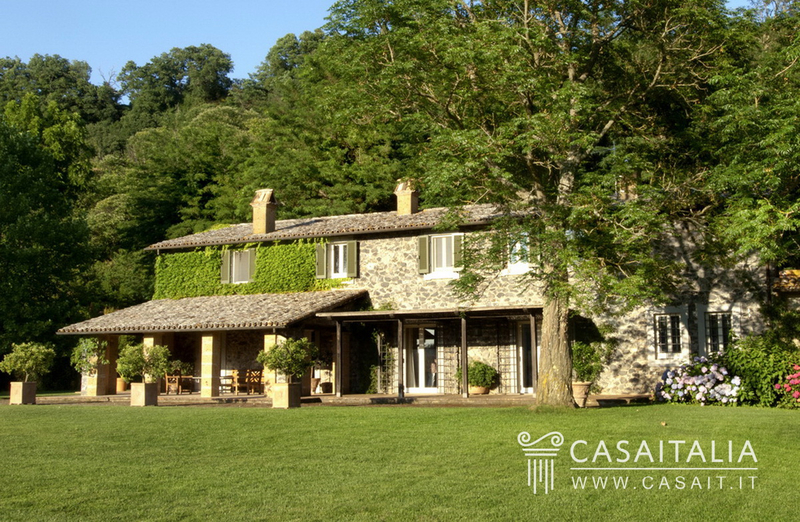 Description of buildings Surrounded by over 30 hectares of private land, with arable fields, woodland and an olive grove, the property comprises two farmhouses with pool and an agricultural annex. 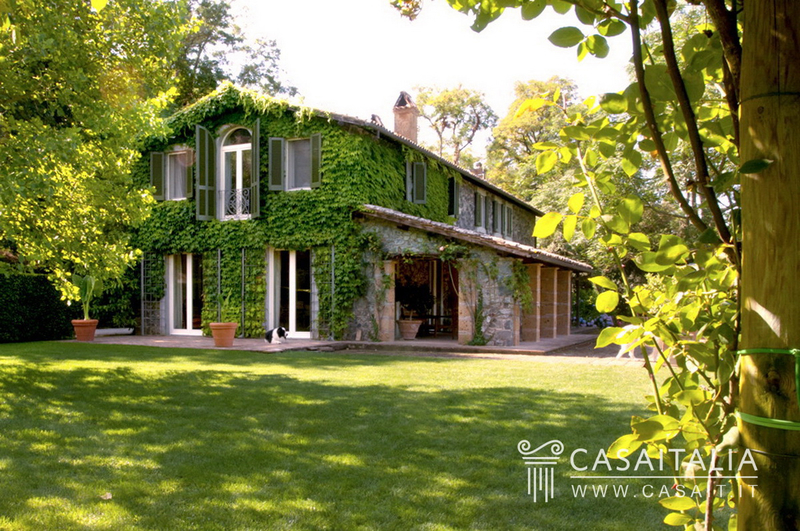 The main farmhouse has two floors above ground and a basement, for a total surface area of around 393 sq.m. On the ground floor there is a large living room with access to a porch, the kitchen, the dining room with outdoor pergola, a study/bedroom, a bedroom with en-suite bathroom and another guest bathroom for the living area. From the main entrance hall, a staircase leads to the floor above, used as the sleeping area and split into master bedroom, with sitting room and private bathroom, three further bedrooms, one with en-suite and two with shared bathroom and a terrace. From the kitchen on the ground floor, a staircase leads to the basement floor, where there are several utility areas and a bathroom. Not far from the main house, an outbuilding has been built, measuring around 210 sq.m, with two floors, one of which is underground. On the ground floor there is a large entrance hall which opens onto the kitchen, then the sitting room, the living room and finally a bedroom with en-suite bathroom. 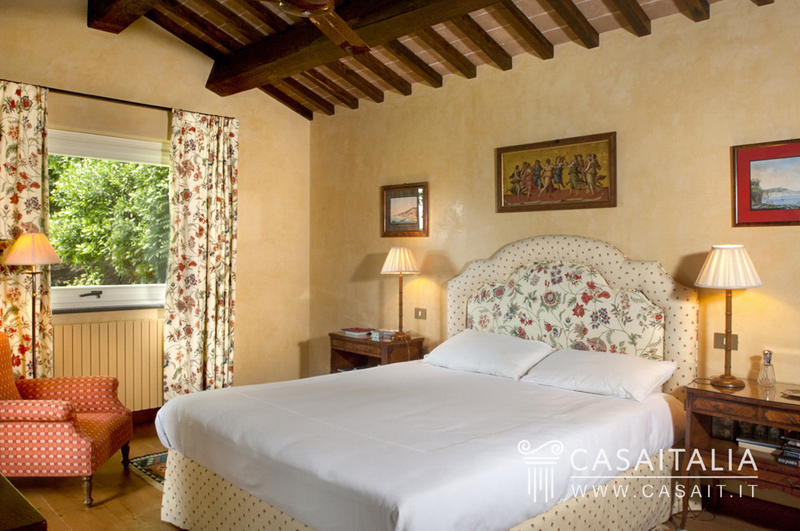 All the rooms have French windows with direct access to the garden. The basement floor is accessed via an internal staircase, and is used as a utility area: laundry room, ironing room, store cupboard, storeroom and bathroom. 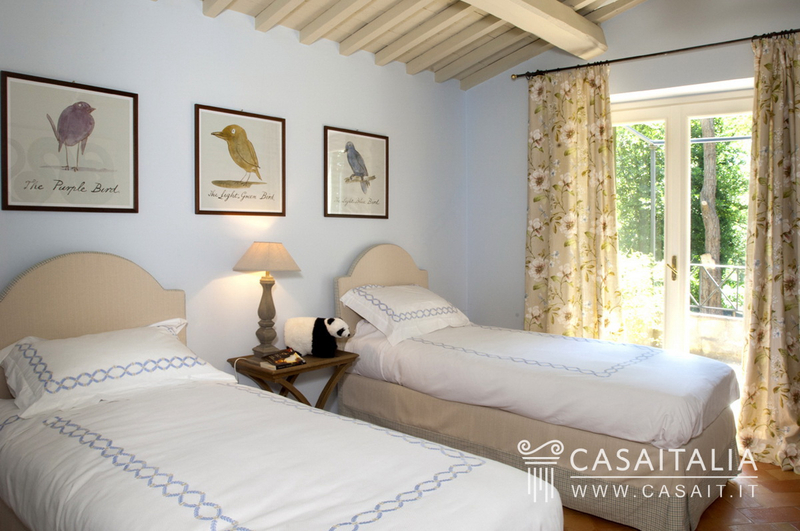 State and finishing The two farmhouses are in excellent condition with high quality finishings: each one features tiled floors and some ceilings with wood beams and tiles. 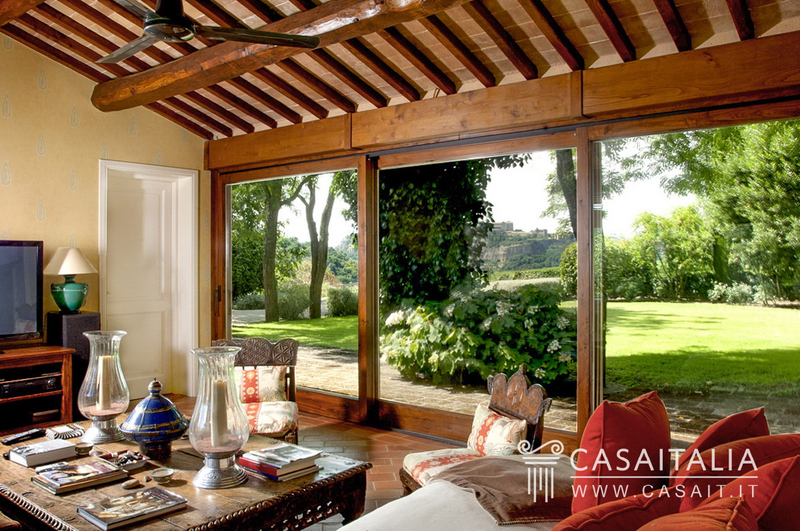 Outside, the main farmhouse has the traditional architectural structure of an Umbrian country house, with exposed stonework and tiled roof, while the outbuilding, built at a later time, features external brickwork. 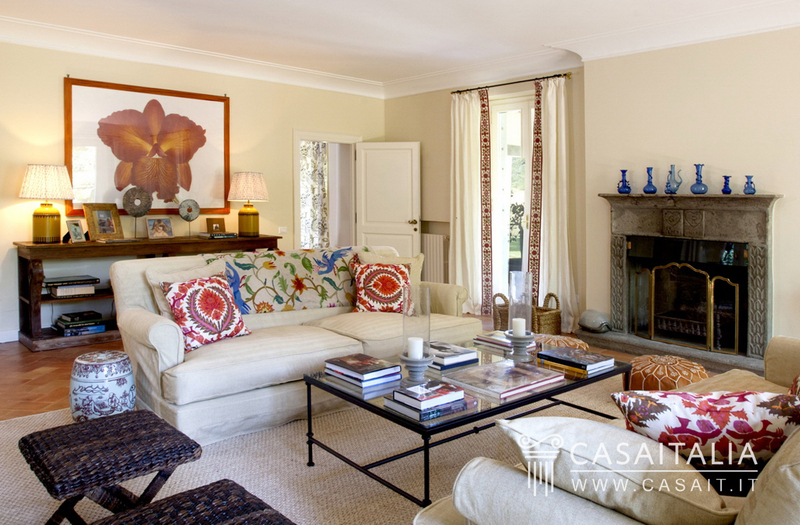 External areas The property includes around 30 hectares of land, in which there are arable fields, woodland and an olive grove. The area around the houses is used as the grounds, with a pretty landscaped lawn and walkways between the tall trees and hedges, which lead to the pool and to other secluded spaces. 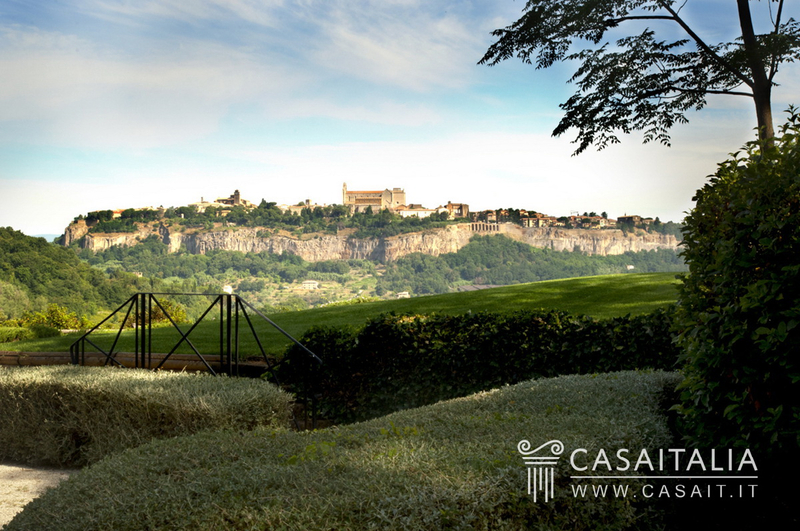 The whole property is extremely private and thanks to its hilly location and orientation, benefits from a beautiful view of Orvieto and its picturesque cliffs. 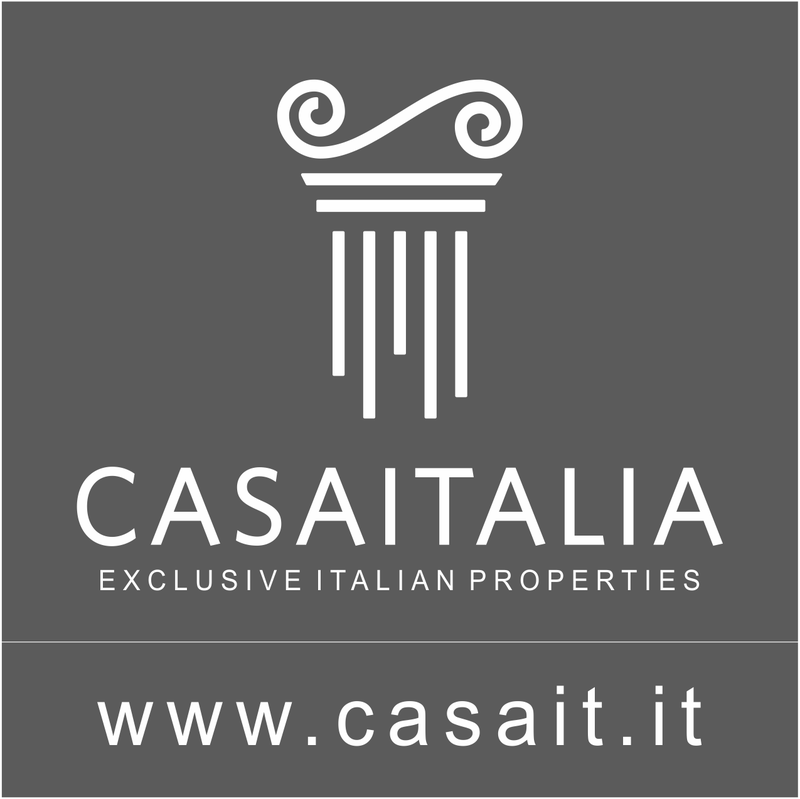 Use and potential uses Perfect as a private main residence or a place to spend long holidays, La Terrazza su Orvieto would also be ideal for those looking for an investment property to rent out. 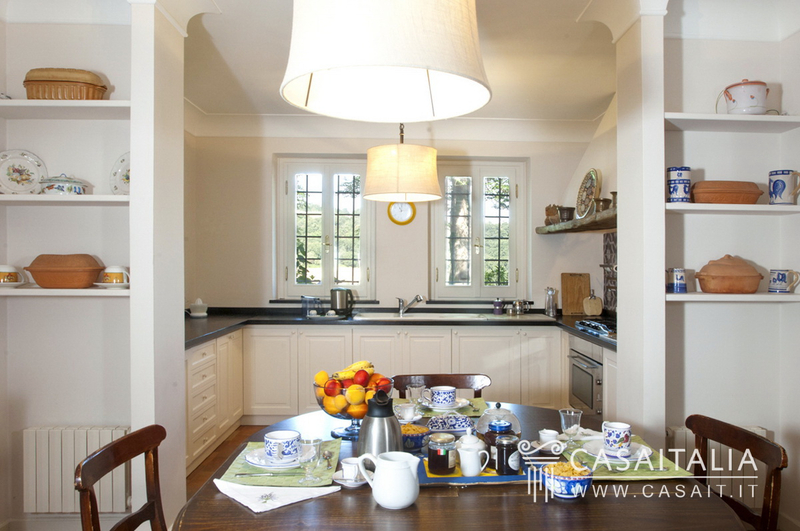 The location and the size make it a great property to put on the international market for weekly holiday rentals.